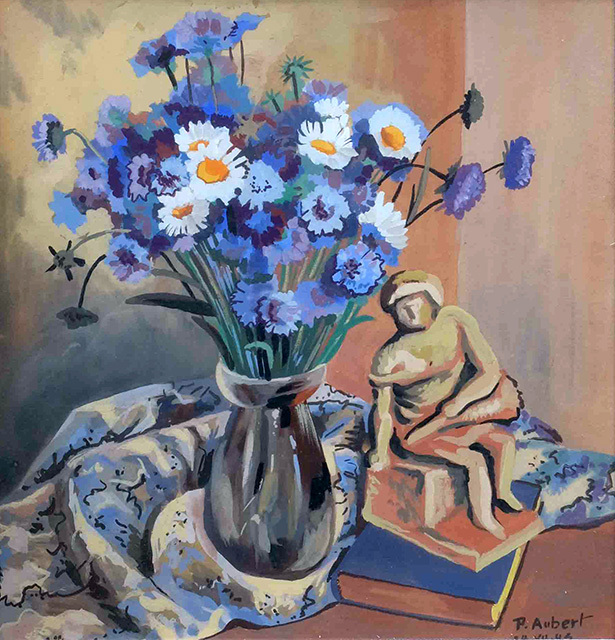 Pierre Aubert painted throughout his life, albeit occasionally and at irregular intervals. 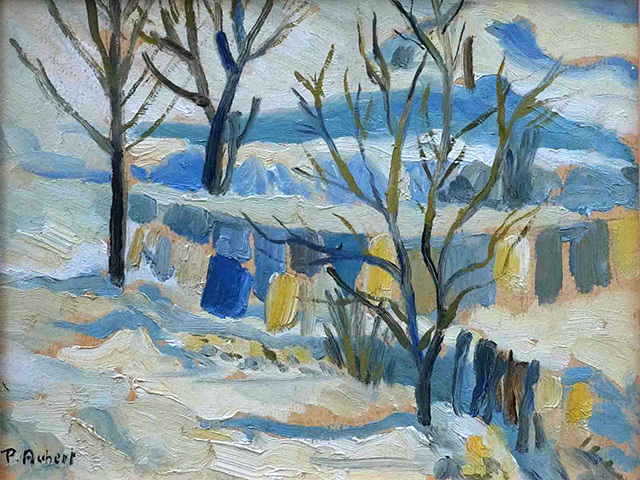 His pre-war oils were still very much influenced by the teaching of Tell Rochat, his mentor. In addition to landscapes and still lifes, he painted several portraits of his mother and some biblical scenes. Then everything changed. 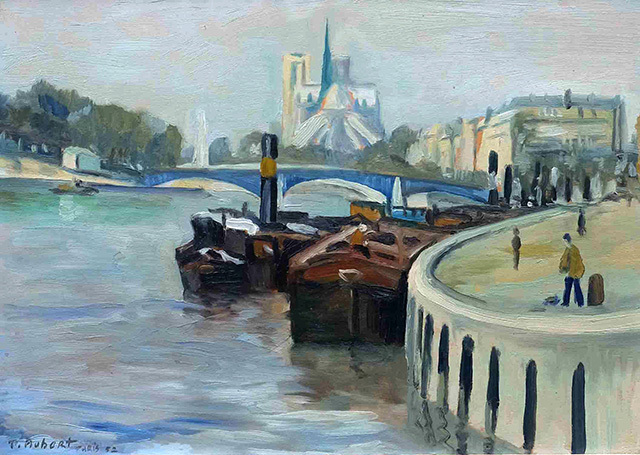 The end of the 1940s and the first years of the following decade became the most productive period of his painting work, characterised by a revolutionary explosion of pure colours, and totally unrelated to his early works, as can be seen in his oil paintings La Lessive (1949) and Le Petit port (1950). 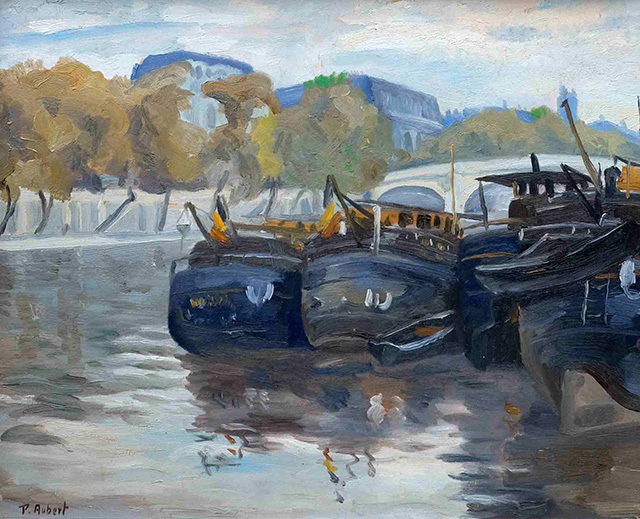 One reason why Pierre Aubert spent so much time painting during that period was that in the summer of 1950 he had fallen seriously ill and had to stop engraving. 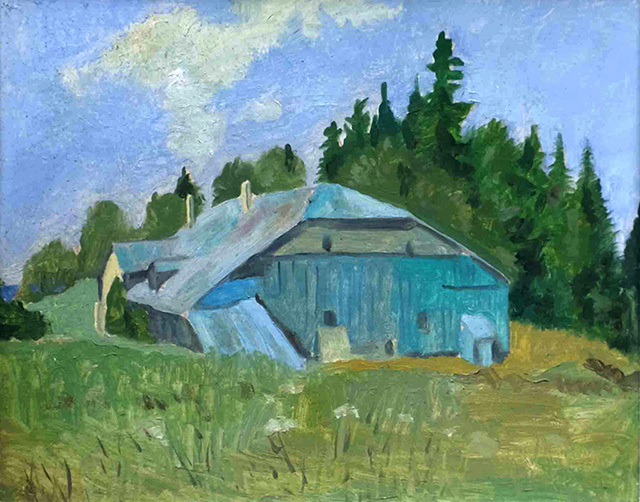 He spent several months in convalescence at his parents-in-law’s in Lausanne and took advantage of the forced rest to paint a series of small, vividly coloured oil paintings, mainly executed on cardboard, depicting views of his parents-in-law’s house (“Bouton d’Or” in Montelly) and the surroundings which were still very rural at the time, the shores of Lake Geneva, still lives, and others. Once he recovered, he returned to the Vallée de Joux and took up engraving again, while still continuing to paint. 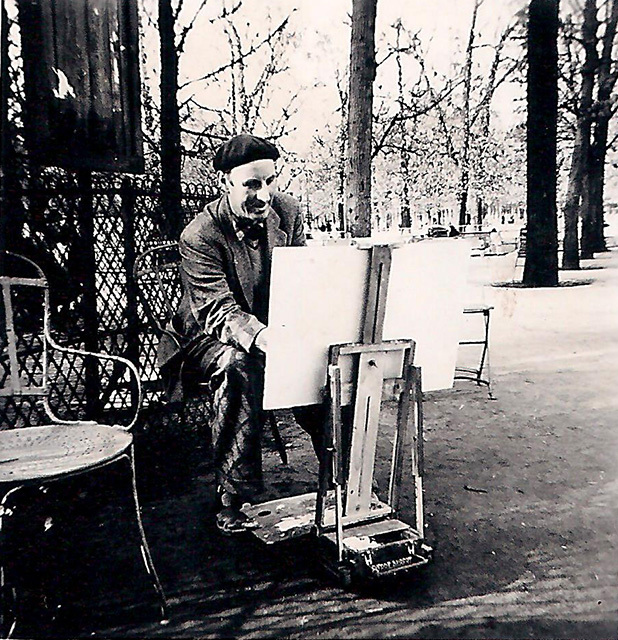 Whenever he visited Paris, he would set up his easel on the banks of the Seine, and in the Tuileries and Luxembourg parks. As the years went by and his fame as an engraver spread, Pierre Aubert began to place greater focus on his engraving work. 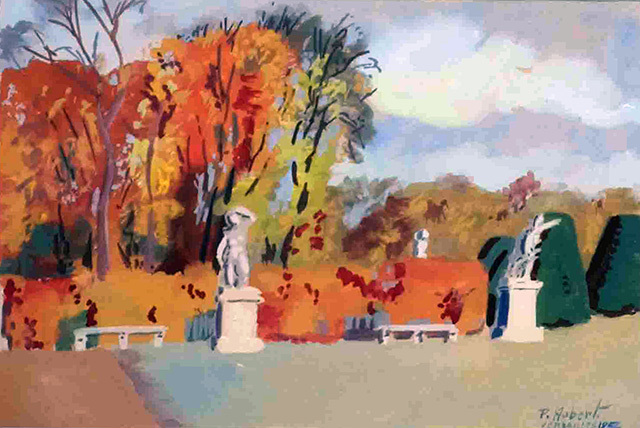 This continued to be the case, even after he moved to Romainmôtier, where the light was particularly propitious to painting. 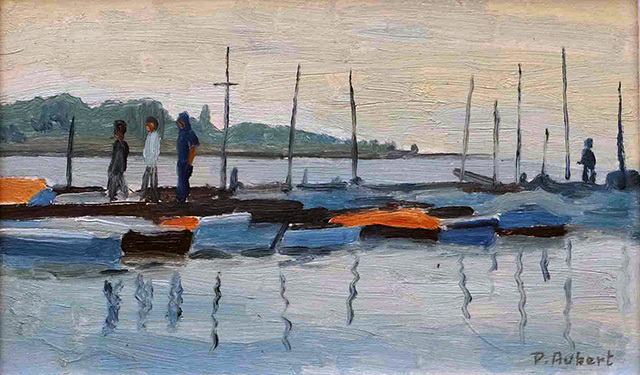 The abbey and the old village houses, the banks of the canal, and the wood at Forel became his themes of predilection. 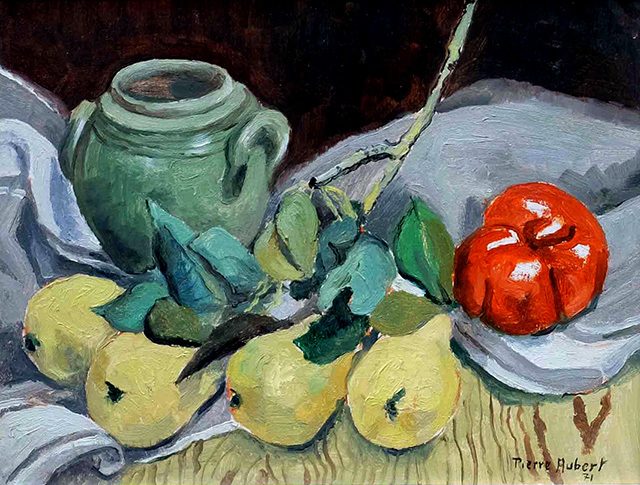 His paintings lost their former boldness; they were more like ‘paintings by an engraver’. Numerous canvases from this last period remained unfinished. 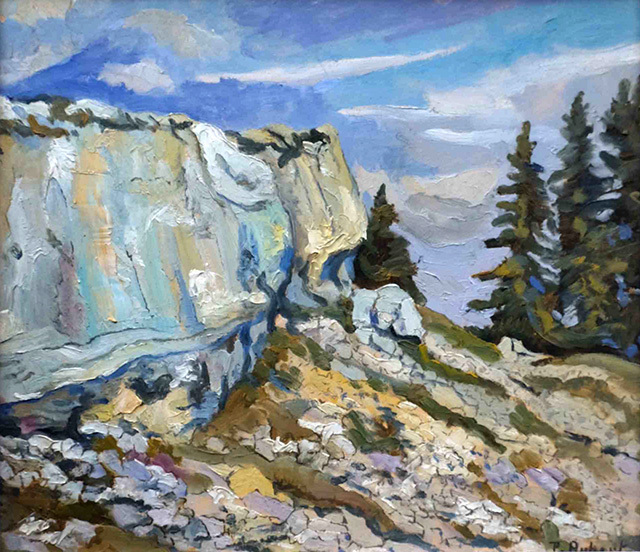 The artist began to spend more time in his studio, and some of his paintings took up themes taken from his wood carvings. 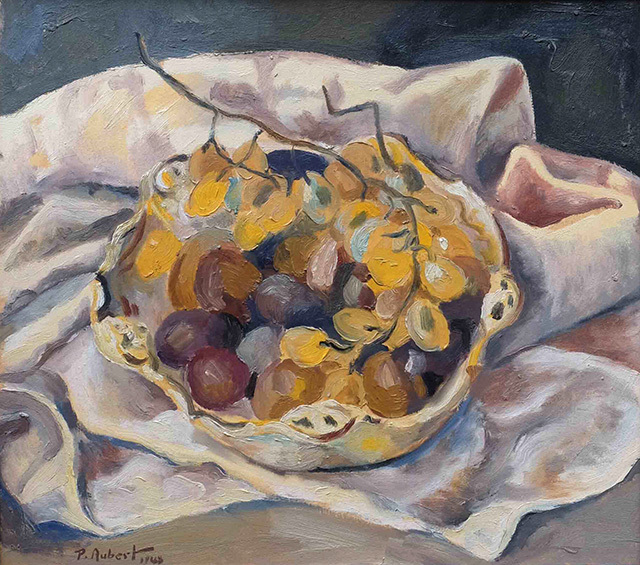 Although in his fifty years of working life Pierre Aubert executed relatively few oil paintings compared to his output as an engraver, gouaches and watercolours accompanied him till the end of his life.